NEW Fluid Grid Layout - Construct web designs and responsive layouts visually. The enhanced Fluid Grid Layout interface makes it a cinch to design projects that display on different screen sizes for desktop and devices. COMING SOON Sync Settings - Log in to Creative Cloud from any computer and access your files, settings, and site definitions. You have everything you need to work on your web projects, whenever you need it, wherever you are. NEW Edge Web Fonts - Bring expressive text to the party. Use the vast and ever-growing Adobe Edge Web Fonts Library, powered by Adobe Typekit®. 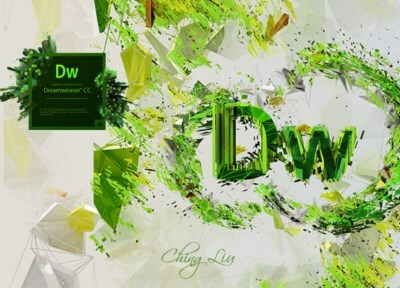 Add web fonts from within Dreamweaver and Edge tools. Add beautifully styled typography with more control while creating pages that load super quickly. NEW jQuery UI widgets - Banish boring buttons and generic icons. Drag and drop jQuery UI widgets. Add accordions to display collapsible content panels. Update all the button states to customize your mobile apps and interfaces. NEW Streamlined workflow - The modernized Dreamweaver CC interface is simpler, with smoother workflows. Contextual menus let you apply settings more intuitively, so you can develop more efficiently. CSS3 transitions - Animate changes to CSS properties to create custom transitions. Build interfaces that pique visitors' curiosity and make their experience more enjoyable. Maintain greater control of web design as you fine-tune page elements and create captivating effects. NEW Source Code Pro for Code View - Adobe's Source Code Pro font makes differentiating similarly structured characters, such as 1 and l or 0 and O, easier while working in Code View. Streamlined HTML5 audio and video - Enhance your desktop and mobile projects with entertaining sounds and movies. Easily add HTML5 audio and video to your websites and applications. The clean interface and code hints make the process of inserting rich media faster and more efficient. jQuery and jQuery Mobile support - Use the familiar Dreamweaver workspace to build designs that reach new audiences on mobile devices. Use integrated jQuery Mobile support to build native mobile apps for iOS and Android platforms. Create projects for devices using a simple mobile development workflow. Faster HTML5 elements insertion - Use the reorganized Insert panel to quickly add HTML5 tags and common page elements. The panel is arranged into helpful categories to make options more discoverable. It's a snap to find and add items within the convenient, centralized Insert panel interface. Integrated CMS support - Author dynamic, data-driven sites using content management systems such as WordPress, Joomla!, and Drupal. Find the code you need to update quickly with the Dynamically Related Files feature. Live View Navigation gives you accurate previews of your pages and apps. Business Catalyst integration - Connect and edit dynamic sites you build with Adobe Business Catalyst® (part of Creative Cloud). Create online stores, blogs, contact forms, and other site features using a hosted solution with a central database and a built-in reporting system. W3C validation - Make sure your pages are well formed and follow best practices with the online W3C Markup Validation Service. Get valuable feedback to help improve your sites.